Traveling by train is the cheapest and the best mode of transport through which you can view the nature and wonders of Europe. While traveling Europe by train, making use of a rail pass will let you experience lots of adventure is as it is cheap and there is a variety to choose from. Before purchasing a rail pass you need to shop around in order to get to know the latest discounts and offers on the train deals. Also you need to plan your itinerancy cautiously before purchasing the pass. For shorter trips Flexi pass will save your money and travel days through buying different separate tickets. If you will be visiting for the first time you should ensure that you validate the rail pass in the ticket office for the railway. Also I would recommend that you arrive a bit early before the departure of the train in order to queue for the service. 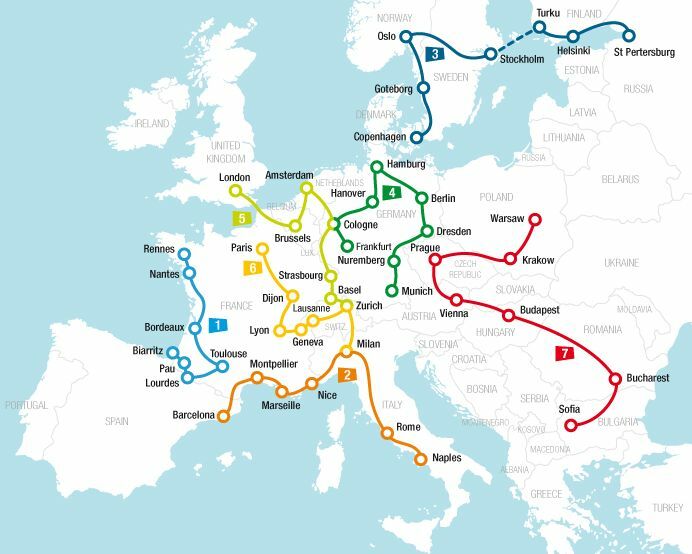 The rail pass will enable you visit freely one country after another all over the Europe continent ,that is about 24 countries where you will came across country historical sights, country retreats and amazing capital cities. There are different rail passes and different points to purchase them. One of the rail passes is the Eurail Global pass which is the most and popular flexible rail pass. The rail pass will offer unlimited travel to you over a period of three months to each and every country on the network.By using this rail pass, you may start your journey in London, England visits the Buckingham palace and then visit Paris using the Eurostar train which moves at a high speed from London to Paris. With a Eurail Global pass, you will be unlimited to travel in 24 different countries. From Paris, you can board Thalys train to the city called Amsterdam and then take a train to the country called Germany and enjoy exploring city called Berlin and Munich. Also, you can enjoy exploring the black forest which is very beautiful. Using the same rail pass you can visit, Spain, Italy, Portugal, Austria, Hungary, Denmark, Finland and much more. You should note that in some trains you will need a seat reservation and so there is a need to make some plans in advance.